Todd’s Dirt has one of the most flavorful lines of seasonings we’ve come across. 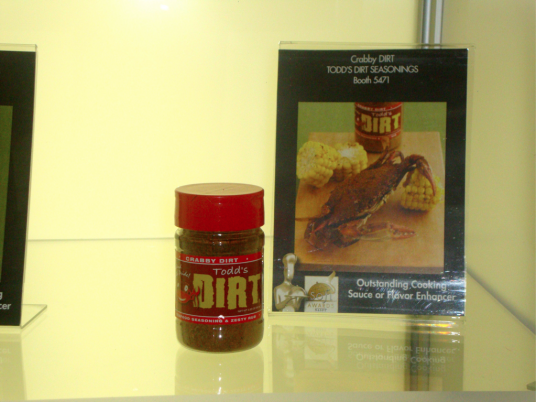 To add more flavor to anything you cook, get some of Todd’s Dirt awesome products. We use them on everything from chicken and seafood to meatloaf and dips. Congrats, Todd on your award! Well deserved! Thank you so much for putting this announcement up on your site. We at Todd’s DIRT are so proud of this award. I would like to thank you and Marilyn for your support and your readers who have become fans of our DIRT’s. If anyone has not tried Todd’s DIRT and you would like to, I am offering a 15% discount to your readers. Check out my website http://www.toddsdirt.com, click on the store and after ordering type DIRTY to get the disount. Thanks again. 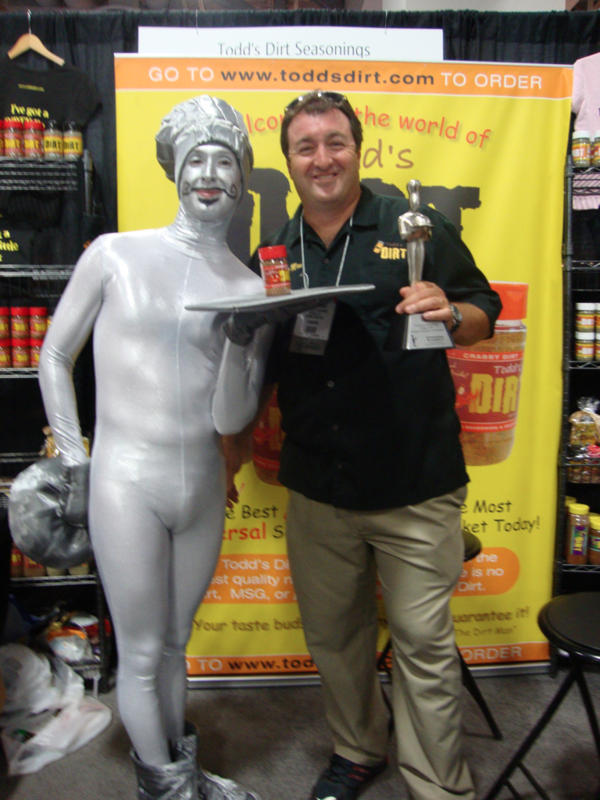 Hey Todd, a big congrats on beating out over 17oo entries to win the Silver Sofi award! You deserve it. And I highly encourage anyone reading this to take advantage of the discount and get yourself some DIRT today! Major congrats to Todd and crew, excellent work. I’ve heard great things about Todd’s Dirt on the BBQ Brethren forum so no doubt this was well earned. Disturbing? Nah. Nevermind that 2 seconds into a trip to the men’s room this guy comes up to me and asks me to “zip him up”. It was Silver Sofi Guy and he needed help zipping up the back of his shirt to the neckline. Marilyn thinks he needed an apron. At least. Bet he never knew this gig was in his future until his agent told him, “Here’s your big break!” Um… not so much. But congrats to Todd’s Dirt, well deserved! We keep his products in our spice cabinet always.